Join us for a talk by Dr. Ravinder Kaur, Associate Professor of Modern South Asian Studies and Director or the Centre of Global South Asian Studies at the University of Copenhagen, Denmark. This paper examines the making of the political category of aam aadmi in post-reform India. Through a visual archive of popular campaigns, I show how and when the category of the people is displaced by the aam aadmi as a central figure in Indian politics. While most studies locate the emergence of aam aadmi as a political category in the anti-corruption movement, I trace its genealogy to a prior moment in the liberalization of Indian economy. In this formative moment we can witness how the linkages between Indias desires for open markets, aspiration of upward class mobility, and deep anxiety of losing the race to become a global player forms the background against which the common man makes its appearance as a political figure. I consider the nature of the political that this shift indicates within the wider currents of 1990s economic liberalization. 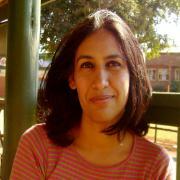 Ravinder Kaur is Associate Professor of Modern South Asian Studies in the Department of Cross Cultural and Regional Studies, University of Copenhagen. She is currently engaged in two long-term research projects. The first focuses on post-reform Indias transition into an attractive emerging market in the global political economy, and second, explores the yet unfolding connections between Asia and Africa via a study of new business connections between India, China and Ethiopia. She is the Primary Investigator of two major projects Nation in Motion: Globalization, Governance and Development in New India (2010-2015) and Emerging Worlds: Explorations of New South-South Connections (2014-2018). Her previous research focused on the questions of forced migration, refugee resettlement, social class and caste and the making of modern citizenship during Indias Partition in 1947. She is the author of Since 1947: Partition Narratives among Punjabi Migrants of Delhi (Oxford, 2007), editor of Religion, Violence and Political Mobilization in South Asia (Sage, 2005), co-editor of Governing Difference: Identity, Inequity and Inequality in India and China, Special Issue, Third World Quarterly (2012), co-editor of Aesthetics of Arrival: Spectacle, Capital and Novelty in post-reform India, Journal Special Issue, Identities: Global Studies in Culture and Power (2016), and most recently, co-editor of 'Social Mobility in post-reform India', Journal Special Issue, Contemporary South Asia (2016).